back to school again.i still had fun taking her photos before going to school. since a few weeks ago, jingga joined a ballet class. so far, she loves the class and every single day, she talks about it and can’t wait for the next class. the class is called baby class. mostly it was fun things to do. some kids refused to follow the teacher’s instruction and play instead. jingga is going to have school performance soon. the theme is jakarta. the parents got this invitation in ondel-ondel shape. it’s made of shuttle kock. and jingga helped making it in school. i love this school always put big effort on everything. with details. 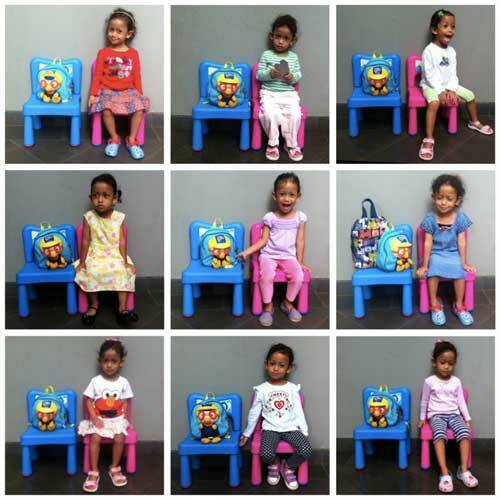 another batch from jingga’s style to school. i need more ideas and train jingga to use spoon properly. i’m dedicating one wall in our house for doodling. jingga (and me) loves it! here’s jingga and her cousins doodling on the wall. more from jingga’s meal boxes. another batch of jingga’s style to school. love doing this! little kids are so cute. especially when there are a bunch of them. this is why i always enjoy being in jingga’s school. just by looking at kids coming to school and their activities makes my heart warm. this is jingga and her friend, marta, looking at turtles inside the pond. 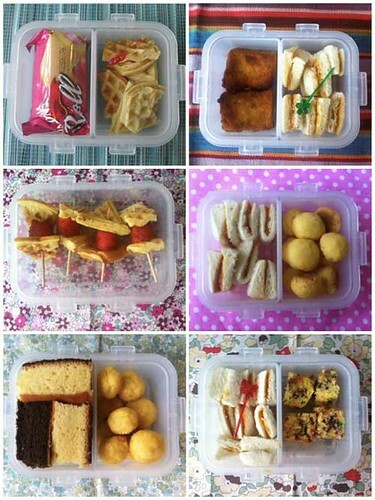 jingga’s meal boxes to school. little oranges with face served on jingga’s birthday. the kids love them. we had another celebration for jingga’s birthday. this time was at home. for family only. i didn’t buy any cake but made some little plain vanilla cupcakes and let the children decorate them themselves. a self-decorated cake, DIY crown and a happy birthday girl. i made this bunting for jingga’s birthday cake. it will be something like this. i will order the cake plain then decorate it by myself. since the cake is not ready yet, the bunting stays on the shelf by my desk. i also made a crown from plastic cup. it’s pretty easy. too bad i couldn’t find any pompom small enough for the crown’s peaks. the tutorial is from here. it’s in portuguese but the images can tell you enough what to do. for the party in school, the kids will get this origami pin wheel hat. total i have made about 100 origami pin wheels for this birthday!